After a routine appointment for a cleaning and checkup, Dr. Gary N. Pointer may have suggested you undergo scaling and root planing in Fort Worth. Also called a deep cleaning, it may seem a bit odd to have the treatment after you just had your teeth cleaned; however, scaling and root planing differs from your preventive cleaning because it is more extensive. It is used to combat gum disease to restore your oral health. Dr. Pointer creates the customized treatment plan you need to stop the damage from the infection. Although gum disease is preventable, the Centers for Disease Control and Prevention estimates at least 50% of adults have it. It develops when plaque and tartar accumulations infect the gingival tissue. In its earliest stage, called gingivitis, it causes the tissue to become red, inflamed, and bleed. At this point, it can easily be treated with scaling and root planing to prevent any lasting complications. Unfortunately, many people do not recognize the early warning signs, which causes the infection to destroy the supporting structures for the teeth. Over time, this can lead to tooth loss. The bacteria can also enter your bloodstream, which can cause inflammation through the body that can result in adverse health issues, like heart disease. To protect your mouth and body, your dentist in Fort Worth, Dr. Pointer will recommend scaling and root planing. 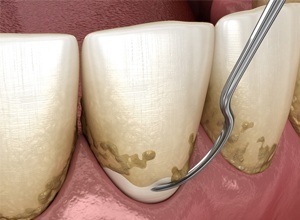 Scaling and root planing involve two separate techniques to clean the gingival pockets and prevent the development of future buildup. Often, it requires more than one appointment to complete. After an initial consultation, you are scheduled for your procedure. If you have pain or sensitivity, Dr. Pointer may use a local anesthetic to prevent any discomfort. A special dental tool is used to remove tartar and plaque from the root surfaces of your teeth below the gum line. After the pockets are cleaned, another dental instrument smooths the roots to prevent future buildup while also allowing the tissue to reattach to your teeth. As your gum tissue heals, you will notice a decrease in inflammation and redness of the tissue. It is normal to experience some slight tenderness for a few days after your treatment. After your scaling and root planing procedure, Dr. Pointer may suggest more frequent dental cleanings to help prevent the infection. Besides periodontal maintenance therapy, changes to your home oral hygiene routine will keep your gums healthy. It is best to brush your teeth at least twice a day for two minutes each session using a soft-bristled toothbrush. Carefully clean in between each tooth and around the gum line daily using a high-quality dental floss. It is also best to avoid smoking or drinking alcohol in excess to improve your body’s ability to fight harmful bacteria. 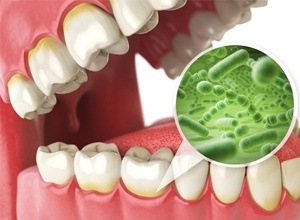 At the first sign of gum disease, it is time to contact your dentist for periodontal therapy. If you need scaling and root planing, do not wait. Contact our office today to schedule your consultation.